The Loft at Liz's is recognized as LA's premiere destination for fine assemblage and found object works. With art created from the castoffs and remnants of societal discards, Diverted Destruction is an annual exhibit (now in its 6th year), which continues to raise poignant questions regarding consumerism, waste and human sustainability. With a diverse mix of sculpture, painting, mixed media and installations, The Loft at Liz's features both emerging and established artists with a deep purpose and message in their work. 6 found object assemblage show. This exhibit marks the first time CAAM has collaborated with a private gallery to introduce their artists to new audiences at new venues. Diverted Destruction 6 features the work of Dale Brockman Davis, Charles Dickson, Doug Pearsall, Teresa Tolliver, Max Finkelstein, Dennis Blevins, Matjames Metson and Timothy Washington. Simultaneously showing at CAAM are the works of Dale Brockman Davis, Derrick Maddox, Richard Turner, Rosalyn Myles and Joe Sims. 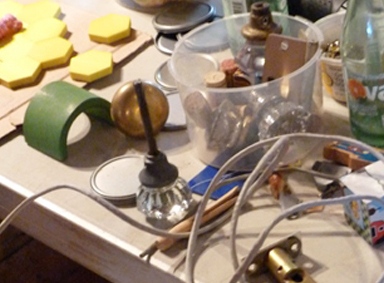 Held in conjunction with Diverted Destruction is our annual Assemblage Workshop. With a myriad of donated and collected materials, local artists will host our open session, guiding participants of all ages and skill levels. A second workshop will be hosted in conjunction with The Ojai Art Festival as part of their Discarted show on Saturday November 9th from 11am – 1pm. 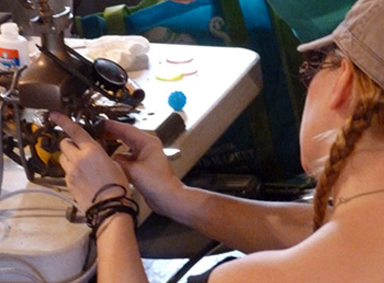 Participants may use our materials and tools onsite, though they are welcomed to bring their own discards and tools. 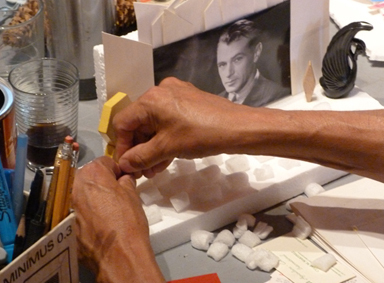 Create a new work or continue an assemblage work in progress! This workshop is free and open to the public. Local artists Sylvia Raz and Carlos Grasso will be assisting Liz with the workshop!